From 29 May 2013, the DBS will be removing certain specified old and minor offences from criminal record certificates issued from this date. Changes to the legislation were introduced today (29 May 2013) to allow us to do this. Thank you for working with us to implement this change. 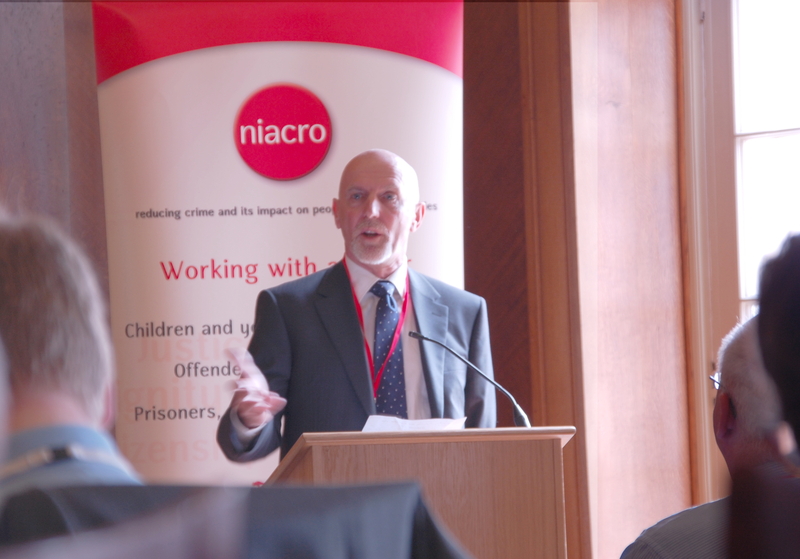 Bob Ashford speaking at NIACRO event at Stormont. Since I resigned as a Police and Crime Commissioner candidate and established Wipetheslateclean, I have been surprised by the number of people who have contacted me through the website. Many of these are individuals whose lives have been blighted by previous convictions -often committed many years ago like my own. One very striking issue that has come through is from people who have received police cautions. Many people do not realise that when they accept a police caution, that the cautions will then be disclosed on standard and enhanced CRB/DBS checks when they apply for jobs. The caution can have the same impact as a criminal conviction and can lead to exclusion from employment and other paths such as fostering/adoption etc. In some cases, when individuals have been asked, at interview or on application forms, whether they have criminal convictions they have answered “no,” only for the disclosures to then come through listing cautions. Because of this job offers have been withdrawn. Service men and women who have accepted an informal reprimand from their commanding officer rather than a court martial find themselves in the same position. Non-British nationals serving in our armed forces have also found their applications for citizenship blocked when leaving those forces. The same issue comes through when people receive other out of court disposals such as Restorative Justice Interventions and Fixed Penalty Notices etc. Again, while these are not criminal convictions they will be included on CRB/DBS disclosures. There is a right of appeal for individuals against inclusion but the post bag indicates many of these fall on deaf ears. The government’s changes to the ROA are welcome but as an earlier article from UNLOCK points out they do not go far enough. Coupled with this is the potential rise in the number of out of court disposals such as conditional cautions, following the introduction of the Legal Aid and Sentencing and Punishment of Offenders Act (LASPO), all of which I support. The result though, unless there are changes to the system of delivery of these disposals, will be far more people, who find themselves with life sentences for minor misdemeanours. This will particularly affect those who have received more than one such disposal. The Home Office and ACPO to review the delivery of all out of court disposals and ensure both recipients and police officers are fully aware of the impact of such disposals. The Ministry of Defence to carry out a similar review across the armed forces. For defence solicitors, appropriate adults and parents of young people to be made aware of the full implications of cautions and advocate more strongly for young people and adults at the point of arrest. Many organisations have signed up to our Wipetheslateclean campaign. Unlock has been with us from the start. This week’s guest blog is by Christopher Stacey. He presents an overview of the current model regarding disclosure, the recent government proposal for change and the changes that Unlock would like to see. 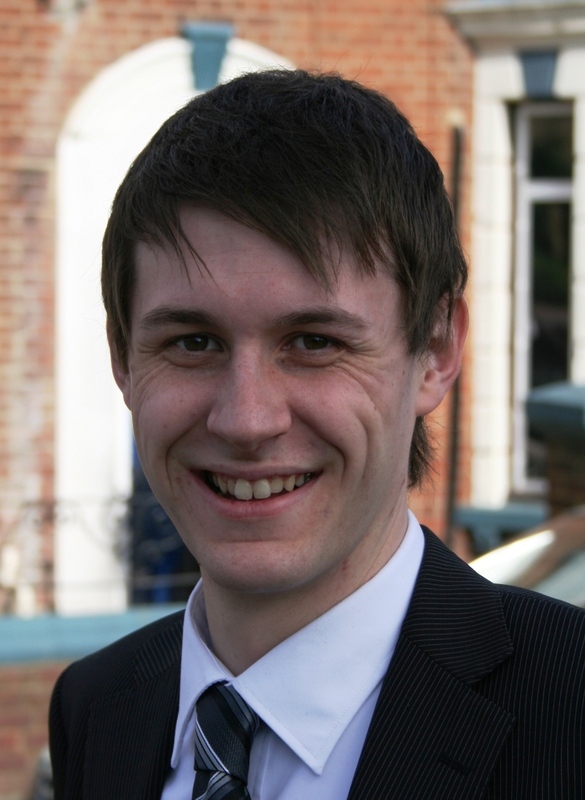 Chris is Director (Services) for Unlock, a UK charity for people with convictions. He was a member of the IAPDCR that provided recommendations to the Home Office in 2011 on how a system of filtering could work. Over 9.2 million people with England and Wales have a criminal record. Having to disclose a past conviction, even an old and minor one from childhood, can cause significant disadvantage to an individual and their family. The effect is perhaps clearest in relation to employment, where a ‘CRB check’ can destroy hopes of pursuing a career or just getting a job. Even the fear of the check itself can force people to ‘opt out’ of other opportunities, like volunteering for a local community centre. The UK’s current approach to retaining and disclosing even the most minor of convictions is a relatively recent development. Until 2005, police services were ‘weeding’ (deleting) some convictions from criminal records. Between 2005 and 2009, the discretionary power of Chief Police Officer’s was weakened to ‘stepping-down’ some convictions, so that they no longer appeared on a CRB check. This system gave less clarity to people with convictions, as even if a conviction was stepped down on one occasion, it might be disclosed on the next. Then, following a Court of Appeal decision in October 2009, which found that the police had the right to retain conviction data, ACPO advised police forces to disclose all convictions (and cautions, reprimands and warnings) until a person’s 100th birthday. Many people whose CRB checks had always been ‘clean’, suddenly had to cope with unexpected old and/or minor convictions on their records. The case that hit the headlines in January is known as T, a man who had received two police warnings in relation to two stolen bicycles in 2001, when he was 11 years old. In 2008, these were disclosed as part of his application to study Sports Science at university as he was required to work with children as part of the course. Although he ultimately managed to pursue the course, it took the intervention of solicitors on his behalf to persuade the University to accept him. The Court also considered the case of JB, which involved a woman who, in 2001 while in her early forties, was cautioned for shoplifting a packet of false nails. In 2010, an enhanced CRB check done as part of her application to work in the care sector revealed the caution. She was told that she would not be offered employment as “her criminal record rendered her inappropriate for work with vulnerable people”. She remains unemployed to this date and her view is that she would have made an excellent carer but for the single caution that she received more than ten years ago. In their judgement, the Court of Appeal ruled that Government’s position of disclosing old and minor convictions infringes Article 8 of the European Convention on Human Rights – the right to respect for private and family life. A primary goal of criminal records disclosure is protecting vulnerable groups, including children. The UK has a strict regime in this regard and the Disclosure and Barring Service (DBS) already bars 44,598 people from working with children and 41,281 people from working with vulnerable adults whether in paid or voluntary roles. In 2010-11, over 14,000 people were added to each of these lists, based on various information sources, including criminal records. All convictions are always disclosed to the DBS for the purposes of barring decisions – the ultimate level of criminal records disclosure. The criminal records system also benefits employers. For an increasing number of ‘sensitive’ roles (e.g. accountants, traffic wardens, social workers, managers in insurance and claims management) they can access DBS (CRB) checks when recruiting. These currently detail all convictions without a time limit. Whatever the role, under the revised Rehabilitation of Offenders Act 1974 (ROA), people’s convictions are considered ‘unspent’ for a period of between a year (fines) and forever (prison sentences over 4 years) during which they must disclose to any employer that asks. Unlock believes that the removal of ‘step-down’ has created an imbalance and a system of filtering old and minor convictions is required. Government statistics show that if someone goes between 2 and 3 years without a conviction, they are no more likely to re-offend than a person who has never offended. As time passes, criminal record information should move from being public to private data. Where people have proved they have desisted from crime over an extended period (longer than the ROA periods), convictions, cautions, warnings and reprimands should be automatically filtered out before DBS checks are passed to employers. This would improve employment chances (particularly in higher skilled work), reduce welfare costs and improve social mobility. With the ultimate goal of a purely evidence-based system, public confidence could be built by initially limiting the threshold to those with a smaller number of convictions, those who received more minor sentences and/or significantly old convictions. In any case, conviction data would remain permanently available to the police and courts as well as the barring service provided by the DBS. Unlock broadly welcomes the recent announcements by Government to introduce provisions that would bring in a filtering mechanism. Given the response we have received through our helpline since the Order was announced, it is clear that many people with convictions will benefit from the proposals, which would see some people with cautions, as well as some people with a single conviction, benefit from a filtering mechanism after a certain period of time. The mechanism is limited to one conviction only. This fails to recognise how two identical cases may end up in court, one as one conviction only, one as multiple ‘charges’. One ‘sentencing event’ would seem to be a more sensible threshold. Such a ‘one conviction’ limit ignores the reality of the majority of petty offending committed by people, particularly when they are young, where they get dealt with by way of a small number of minor convictions. The example of Bob Ashford, prospective PCC candidate, is a perfect example of this discrepancy. The list of ‘specified offences’ (i.e. those exempt) includes some minor offences which are exempt from filtering which, given the level of disposal, should benefit from it, e.g. affray. Given custodial sentences are exempt from filtering, this leaves people with suspended prison sentences outside of scope, despite having received a ‘community sentence’ in practice. This will lead to confusion amongst people with convictions and employers alike. It also fails to recognise the discernable differences of the individual case which led to the court giving what is essentially a ‘community sentence’. It is unlikely that the Order will be amended by Parliament given the processes involved for Statutory Instruments. As a result, Unlock supports the Order, and encourages both Houses to pass it into law. However, we urge the Government to keep this policy under review, with the aim of examining the way in which this policy works in practice, particularly in relation to the above points, with a view to establishing an evidence-base that would support moving beyond the current ‘cautious’ approach. Excluding People with Convictions Just Doesn’t Pay for Employers. 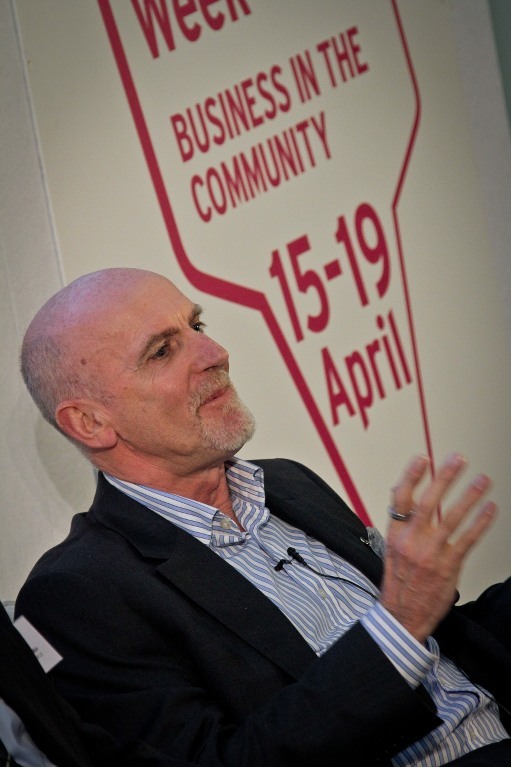 Earlier this week I spoke at an event organised by Business in the Community (BITC) as part of Responsible Business Week. The event, which was attended by CEOs, HR and other representatives of the commercial, public and voluntary sectors was aimed at sparking a debate about how to change employment practices and encourage more businesses to employ people with criminal records. I spoke about my own experiences and how my two offences as a 13-year old are still impacting upon my career choices. Throughout my career I have had to “tick the box” on application forms which acknowledges I have a criminal conviction, even though it was 46 years ago and is no longer on CRB/DBS records. The very process of doing so leads many employers then and now to immediately see the offence and not the individual and often the application goes no further. This is especially so on many online applications, where the very act of “ticking the box” electronically bars the applicant from completing the application form. So what is the case for employing people with criminal convictions? I would argue it is in everyone’s interests to do so: the prospective employee, the employer and wider society. Why should criminal convictions become a life sentence? Since I started Wipetheslateclean I have been staggered by the number of people who have contacted me because their lives have been blighted by criminal convictions, many of them committed long ago. Each case is a tragedy in itself of broken aspirations, shame, embarrassment and despair. Is it any surprise that reoffending rates following custody are over 70% when, faced with choices of a lifetime of rejection or the temptations of further offending many take the latter path. People with criminal convictions account for over 20% of the working age population – they are not some minority group, they are people like you and me who have made mistakes. For employers, in excluding this group of people from employment they are immediately ignoring 20% of the population from their potential field of applicants. People with criminal records are like you and me with skills, qualifications, and a desire to put their abilties to good use. Many have been rebuffed by successive rejections, but once given the chance they will make dedicated and loyal employees. I would also argue that by the very nature of being an ex-offender the risk they pose is well known and documented. It is the other 80% of the population, many of who have similarly offended but have not been caught, who potentially pose an even greater risk. As regards wider society, are we content to condone people with convictions to a life of rejection , living on benefits and potentially continuing to offend with the financial and social impact that has, or should we not truly support the notion of rehabilitation? This is why we need to both wipe the slate clean for minor offences, and, when it comes to employment and other life opportunities, view people with criminal convictions and who have stopped offending as individuals who have made mistakes and want to move on in their lives. BITC are leading a campaign to “Ban the Box” and rightly so. The idea is that in getting rid of the disclosure box on application forms prospective employers see the individual and their CV first, interview them and then ask for disclosure of convictions where relevant. At that point employers then complete an assessment as appropriate. The hugely reassuring aspect of the BITC event this week is the number of employers who are beginning to see the benefits to their organisations in following this approach. There are though still huge numbers who have yet to take this path. It’s up to all of us and to all our benefit to make this happen. The following statement is from the Disclosure and Barring Service regarding the proposed arrangements for the filtering of old and minor convictions and cautions. Please note that the changes have not yet been ratified by parliament. Today, the Home Office has started the legislative process (subject to agreement by Parliament) so that certain old and minor cautions and convictions will no longer be disclosed on a DBS certificate. This action is in response to the Court of Appeal judgment in January this year which stated that the disclosure of all cautions and convictions on a DBS Certificate was incompatible with Article 8 of the Convention for Human Rights. (iii) it did not result in a custodial sentence. Even then, it will only be removed if it does not appear on the list of specified offences. If a person has more than one offence, then details of all their convictions will always be included. An adult caution will be removed after 6 years have elapsed since the date of the caution – and if it does not appear on the list of specified offences. A conviction received as a young person would become eligible for filtering after 5.5 years – unless it is on the list of specified offences, a custodial sentence was received or the individual has more than one conviction. A caution administered to a young person will not be disclosed if 2 years have elapsed since the date of issue – but only if it does not appear on the list of specified offences. The changes will not come into force until after the legislation has completed its passage through Parliament. Until then, it’s business as usual. We will keep you informed of this process and provide more information to you as soon as it is available. The Disclosure and Barring Service (DBS). Bob Ashford, the founder of Wipetheslateclean, today welcomed the news that the Home Office are to introduce changes which will mean that old and minor offences will be filtered out of the information revealed in job applications in England and Wales. Under the proposed legislation, convictions resulting in a non-custodial sentence will be filtered from record checks after 11 years for adults and five and a half years for young offenders. Violent and sexual offences will continue to have to be disclosed. The news follows a ruling by the Court of Appeal in January that the blanket disclosure of all offences was disproportionate and infringed on the right to privacy and was therefore contrary to the European Court of Human Rights legislation. Earlier this month the Justice Select Committee, a cross party government body, agreed with the Court of Appeal and called for the erasure of minor offences committed by children at 18. “We need to look at the details, but on the face of it this looks like a good step forward. It really does seem the Home Office and government have listened to the Law Lords, their own MPs and the many campaigning individuals and organisations who have been calling for these changes. Why should a criminal record be a sentence for life? We need to recognise that people can change and have the potential to lead productive lives, unfettered by old criminal records. 1. Wipetheslateclean www.wipetheslateclean.org.uk @WipeSlateClean has two aims: Changing the barring legislation relating to Police and Crime Commissioners and secondly to raise the wider debate about how we treat people with criminal convictions. Case studies and more information can be found on the website. 3. Bob, who lives in Frome Somerset has spent a lifetime career working with young people in trouble and in need, working as a social worker before becoming one of the first Youth Offending Team Managers. From here he moved to the Youth Justice Board for England and Wales, an organisation he worked for over 10 years, leaving as Director of Strategy in March last year. He has spoken at numerous national and international conferences and advised countries as diverse as Canada and Bulgaria on their justice systems. The All Party Justice Select Committee has just published its wide-ranging report into the youth justice system. This is based on evidence from a number of individuals and organisations, including some young people with direct experience of the system supported by the charity User Voice.The Select Committee has made a number of hard-hitting recommendations to Government on significant improvements that need to take place. Bob Ashford was forced to resign as the Labour Party’s Police and Crime Commissioner candidate for Avon and Somerset because of offences he committed as a 13 year old, 46 years ago. 3. Bob, who lives in Frome Somerset has spent a lifetime career working with young people in trouble. He worked as a social worker before becoming one of the first Youth Offending Team Managers. From here he moved to the Youth Justice Board for England and Wales, an organisation he worked for over 10 years, leaving as Director of Strategy in March last year. He has spoken at numerous national and international conferences and advised countries as diverse as Canada and Bulgaria on their justice systems. Since the launch of the Wipetheslateclean campaign many people have contacted us with a common concern. Criminal convictions acquired at a young age have continued to blight their lives. They have been punished for their crimes, but then gone on to turn their lives around. They have studied and trained only to find that barriers are still placed in their way. I received a response from Damian Green to my letter of 4th October on 30th December 2012. I am unhappy with the response from the Minister and would like you to consider and reply to the following comments. The letter states what the Government has done but not what it intends to do. In the Home Affairs Select Committee in December, the Prisons Minster, Jeremy Wright, in response to a question from Jeremy Corbyn MP on the PCC barring legislation said, “this was something the government needed to look at again”. Is this still the case? If so, when will it be looked at, especially now in light of the points in the penultimate paragraph of this letter? In looking at recruitment practices for police forces it is clear that these decisions are made locally, as is proper. It’s also clear there must be a difference between someone applying to be a police officer (usually in their early 20s) who holds a criminal conviction committed within the past few years and someone like myself whose offence was committed 46 years ago as a 13 year old. It is also a fact that there are hundreds if not thousands of serving police officers who have been found guilty of imprisonable offences and still continue to serve as officers. Why when the Home Office has advertised recently for Independent Police Complaints Commissioners, the people who will oversee complaints against the Police and Police and Crime Commissioners, has the barring standard been set at a lower level? It does seem odd that people who have to judge the actions of Chief Constables and PCCs should be judged themselves by a different set of standards. These arguments have now found support from the Court of Appeal and Lord Dyson in the “T” case. This concerns a 21 year old who had to disclose police cautions received when he was an 11 year old. Lord Dyson has said this is not compatible with Article 8 of the Human Rights Act – the right to a private and family life. A full judgement is expected this week but almost certainly will require further legislation. This is excellent news for those who have criminal convictions (over 30% of adult males) and who have found their lives blighted and stigmatised by convictions when they were young for the rest of their lives. I would welcome your responses to these points, and, in particular, I would like to know what action the Government will be taking in response to the Appeal Court Judgement. I would also welcome the opportunity to meet with you to discuss these issues. Wipetheslateclean relies on voluntary donations for its campaigning work.